A very happy toddler enthralled with (safe, low-voltage) Christmas tree lights. Sitting on a reflective floor, the lights streak and add to the holiday atmosphere. 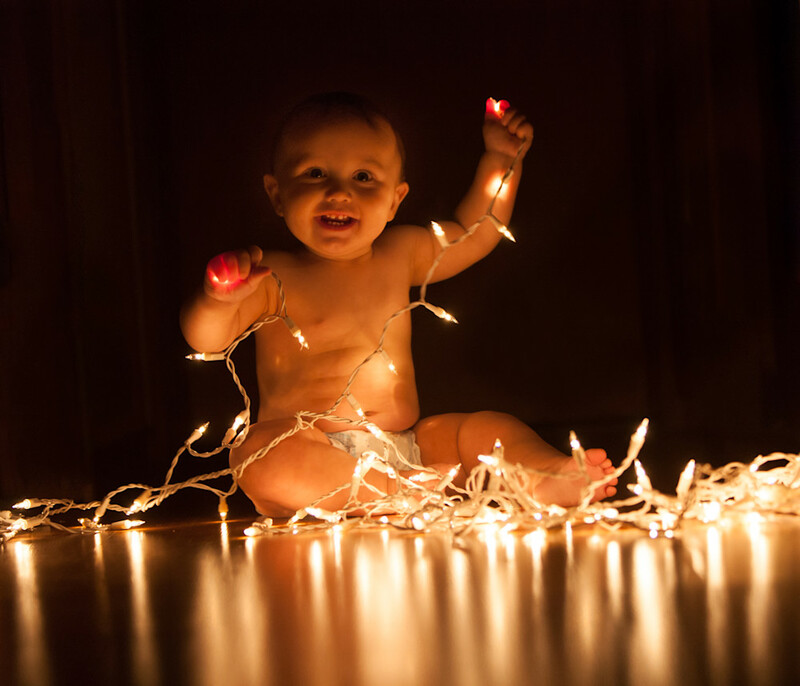 Child in diapers enthralled with safe, low-voltage Christmas tree lights, sitting on a reflective floor which causes the lights to streak. Child is smiling at camera/viewer.